From daily revenue of a mere Rs 5,000-6,000 (Rs 50-60 billion) in 2007 to about Rs 70,000 (Rs 700 billion) now, Ahmedabad-based Mahasagar Travels has come a long way. Its founder Lalit Sukhwani says this wouldn't have been possible if Mantis Technologies hadn't offered the company its enterprise resource planning (ERP) system, which manages customer bookings and bus inventory both online and offline. "Six years ago, I wouldn't be able to keep track of the number of empty seats on my buses on a route. I was also averse to technology. However, post Mantis, my efficiencies have increased drastically. Today, not only am I able to know which of my 80 buses are running full or empty, I can also plan to increase the fleet on a particular route through Mantis' software," says Sukhwani. What makes Mantis different is its ability to offer both the services under one roof. It has consistently added new features to its business. Mantis Technologies, incubated by Indian Institute of Management, Ahmedabad's (IIM-A)'s Centre for Innovation, Incubation and Entrepreneurship (CIIE), was founded by Aurvind Lama and Parthasarthy Sinha, batchmates at IIM-A's post-graduate management programme, in April 2007. The start-up works across two verticals - business-to-business (B2B) and business-to-consumer (B2C). In the B2B segment, it offers an ERP software that helps a bus operator book and manage seats and know about his/her fleet size and inventory. This segment also includes providing online bus inventory for companies such as MakeMyTrip and goibibo.com, which use Mantis's database of bus operators and routes. The B2C business, popularly known by the name of its bus ticketing site Travelyaari.com, allows customers to directly book bus tickets online. Even as local firms provide 'cost-effective' ERP systems, Mantis Technologies has created a niche for itself. Not only does it help bus operators book tickets across destinations through an ERP system and keep track of the fleet size, bus-in-transit and inventory, but also offers an online portal (Travelyaari.com) to book bus tickets through the internet. While its bookings and inventory management ERP system helps bus operators across the country, its online bus seat ticketing platform has found a taker in online travel major MakeMyTrip. "Mantis was among the first platforms we partnered. Mantis is doing good work by enabling the sharing of real-time seat availability/inventory of bus operators with OTAs (online travel agencies) like MakeMyTrip," says Amit Somani, chief products officer, MakeMyTrip. It was at a classroom discussion at the IIM-A campus that Lama and Sinha struck a chord. Both realised they had to leverage their inclination towards information technology. "We wanted to work on something that enhanced comfort in the society around us. That's how we ended up working towards developing an ERP system for bus operators to keep track of seat bookings and inventory," says Lama, adding both continued to work on the idea till they registered Mantis Technologies as a company. Mantis' first client was Mahasagar Travels. In August 2007, CIIE offered 70 sq ft office space to Mantis and decided to incubate the firm, offering Mantis technical expertise in innovation and entrepreneurship. Rakesh Basant, faculty member at IIM-A, led the initiative. Till 2009, Lama and Sinha invested a cumulative Rs 40 lakh (Rs 4 million) from their savings and went on to add bus operators in and outside Gujarat to the company's tally. "Every city and region we went to was breaking-even within a year. However, we kept on investing from our savings because each new centre would bleed initially," says Lama. Unlike other start-ups, which see investment by angel investors at an early stage, it was only a couple of years later that Mantis recorded external funding. Gujarat Venture Finance Limited (GVFL) had been keeping track of the company through 2008, when it was earning revenue of merely Rs 50 lakh (Rs 5 million) from its B2B business of providing ERP systems to bus operators. "In those days, customers had to go to each operator to book bus tickets. There were software providers charging between Rs 50 lakh and Rs 1 crore (Rs 10 million). But no one offered it on a software-as-a-service basis, no one offered inventory management and ticketing on a single platform, offline or online. This attracted us to Mantis," says Mihir Joshi, managing director of GVFL. In 2009-10, the venture finance company invested about Rs 1.5 crore (Rs 15 million) for a stake of about 20 per cent. Kunal Upadhyaya and Pranay Gupta, joint chief executives at CIIE, say Mantis offers immense potential. "It is one thing to offer online bus ticketing or book seat quotas online with bus operators, as well as offer ERP systems that help manage inventory/fleet, but it is another thing to do all this under a single platform. Since much of CIIE's focus was on the internet and mobile domain, it was easy to see how scalable Mantis' business was and we have been proved right," says Gupta. For CIIE, Mantis was one of the most successful start-ups that emerged from its campus. "While we offer brainstorming, networking, business management and hand holding help to start-ups, we encourage them to stand on their own feet as soon as possible. And, Mantis did that pretty well," adds Gupta. While initially its B2B business offered ERP systems, it was only by 2008-end that Mantis launched its online bus ticketing portal. "It took some time, from April 2007 to 2008-end, for us to realise we also had to cater to customers directly. 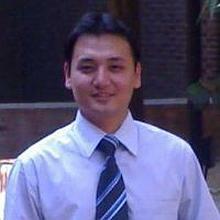 But after we launched Travelyaari.com, our B2C business has outgrown our B2B business in last three years," says Lama. In 2008-09, when its B2B business recorded a revenue of Rs 50 lakh, the three-month-old B2C segment had a negligible income But by 2009-10, both the B2B (ERP) and the B2C (Travelyaari.com) businesses recorded revenue of Rs 3 crore (Rs 30 billion) each, along with a net profit of Rs 36 lakh (Rs 3.6 million). Revenue for both segments rose to Rs 5 crore (Rs 50 billion) each in 2010-11, while net profit stood at Rs 60 lakh (Rs 6 million). In 2011-12, revenue rose to Rs 20 crore (Rs 200 million) each, with a combined net profit of Rs 2.5 crore (Rs 25 million). For Mantis, revenue figures are the total ticket sales, while the net profit is accounted for by the commission. A major challenge Mantis faced was competition from domestic ERP software providers and online booking companies in south and northeast India. "We had to re-think our strategy towards marketing and convincing bus operators to opt for the Mantis platform. It was only after we understood we had to have local presence and offer customer-friendly products that things started improving again," says Lama, adding in 2011, Mantis had launched a series of "cost-effective marketing campaigns" and offered local support to regional bus operators. Convincing bus operators to opt for automation of their bookings and fleet management was another challenge. "It took us almost a year to reach out to each of the operators and convince them to opt for automation of their services. Also, we had to incorporate people in the team who could help us reach out to regional bus operators," says Lama. For Sinha and Lama, as well as for their venture capital investor GVFL, the future is bright. GVFL's Joshi says the company has identified areas in which it has to improve. "If you have strong back-end technology, you will be a business leader in the long run. That is exactly what Mantis is doing," he says. Not only is it investing in technical support (it is setting up regional call centres in western, northern and southern India), it is also tapping the huge potential in regional transport corporations. Recently, Mantis tied with road transport corporations in Punjab, Himachal Pradesh and Bihar. Where does the company see itself in the future? "We want to be the IRCTC of bus transport," quips Lama. Mantis is now looking to add another feather to its cap - tour packages. "While nothing has been finalised yet, we would look at expanding our current business into tour packages and tourism. We have already launched blog.travelyaari.com, which showcases tourist destinations," says Lama. Somani of MakeMyTrip says Mantis should continue to do what it does best. "Mantis has done a good job and should continue to invest aggressively in technology to improve the end-to-end experience for operators and OTAs like us," he says. Mantis is eyeing business of Rs 110 crore (Rs 1.1 billion) from its B2C business and Rs 40 crore (Rs 400 million) from its B2B businesses by the end of this financial year, compared with Rs 20 crore (Rs 200 million) from each of the two segments in the previous financial year. And, that's not all. Lama and Sinha plan to touch the Rs 400-crore (Rs 4 billion) mark in 2013-14. These days, everybody is selling bus tickets. It is a Rs 20,000-crore (Rs 200 billion) market (public and private combined) and is growing at 15 per cent a year. One can only imagine the size of the industry in two to three years. While this could offer opportunities, Mantis has to address the challenges that lie ahead. It had to convince bus operators to go for online bus ticketing and inventory management and had launched a business-to-consumer portal to sell bus tickets online directly. But the domain also has other companies growing at an equal pace. Mantis cannot overlook the groundwork required to run a bus-ticketing portal, something that can still be done away with in travel portals. A travel portal may source hotel or flight inventory on its website without much groundwork. This is not the case with Mantis; it has to continue to draw a niche for itself. It would have to set up call centres to address the grievances of regional operators and customers in local languages. To manage scalability, it would have to continue to invest in back-end technology support.